AA Music have been established since 1984 and is a family run business involving husband and wife team, Anna and Alex Murphy and their two sons Paul and David. AA Music is now one of Irelands premiere retailers in new and used pianos having a reputation for value, quality, and a wide selection of pianos. We offer friendly service and advice, and this is reflected by our many satisfied customers, who have went on to recommend us to their friends. I am always being asked where did the name Bakerloo Junction originate. It came from a map of the London underground. Don't try and find the location as it doesn't exist. There is a Bakerloo Line but no junction. For the past 35 years people have been trying to find Bakerloo Junction. There was a good reason for the name when I formed the group back in 1974. I wanted to perform on the local cabaret scene. Cabaret Clubs would have been very reluctant to book a folk duo. The name Bakerloo Junction put them off the scent. It only took one performance in a club to convince them that we were an acceptable cabaret act. A folk duo arriving dressed in velvet jackets with bow ties and black patent shoes was most unusual and very impressive. In 1974 I compared a summer season in the Slieve Donard Hotel, Newcastle. I was convinced that a folk duo would be successful on the cabaret circuit. The second member of the act was Michael Keery. 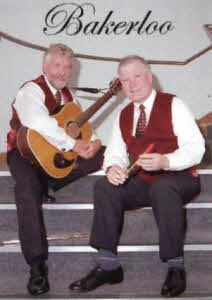 Mike was a lovely singer and a good guitarist and banjo player. I can remember the Saturday afternoon in Lisburn when my wife Pat escorted us around various shops looking for our new outfits. Mike thought we were mad. I have many happy memories of the numerous shows I did with Michael. Our main agent was Billy McCullough (Cuckles). His first booking for us was the Abercorn Club in Belfast - WHOW!! Bakerloo hits the big time. Mr 10% Billy was a real character. It was a pleasure to pay him his money just for the fun. We performed on the cabaret circuit until most of the social clubs disappeared due to firms closing down. By this time a number of other contacts had been established and we enjoyed the very best in local venues. Our next break was being introduced to Emerald Records. We were invited to the recording studio where Mervyn Solomon and George Doherty (studio manager) listened to us singing a few songs. They were impressed - I should think so. The next thing we knew we were offered a recording contract. Here we go! Here we go! Beats Drum Studio opened its door for the first time in the summer of 1999 offering lessons to aspiring drummers of all ages and abilities. The Studio quickly developed, diversifying into areas such as buying & selling new & used equipment, repairs & maintenance, hire & rental and customising drums. 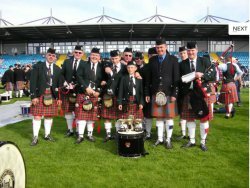 Welcome to the Drumlough Pipe Band Website. Whether you are a Piper, Drummer, Drum Major, non playing enthusiast or in any way linked to Pipe Bands , we hope the site is as enjoyable as any others in the same tradition. And even if you're not into the Pipe Band Tradition, then we hope that the site has something to offer everyone. We hope you enjoy. Drummond Reid is a leading Northern Ireland piano dealer and piano stockist, selling new, used, second hand and reconditioned upright pianos / grand pianos. The range of pianos currently for sale at any time obviously varies but we endeavour to always have some major names like Steinway, Bechstein, Yamaha and Kawai in stock. We also offer a wide range of other piano related services including; Repairing pianos, French polishing your piano, Restoration of old pianos, Full piano rebuilding, Piano restringing, Short and long term piano rental or hire, Supply of piano stools, piano parts and accessories. An exciting new music school is opening in Moira, Co Down for individual instrumental tuition, group workshops and band mentoring. We can guide students through exams, from complete beginners upwards, or the lessons can just be for fun! 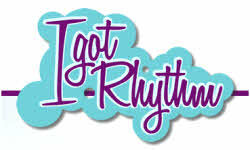 - I Got Rhythm Music School provide tutors for guitars, drums, woodwind, brass, singing, keyboards and strings as well as traditional instruments. There is a rehearsal studio with the option to record demo’s and CD’s. All our tutors are professional musicians, experienced teachers and are fully police checked. ** Lessons start Mon-Fri from 3pm, and from 10am on Saturdays. * Price per individual half-hour lesson is £13. - Download the printable flyer (PDF 182 KB) ** Band Mentoring If you are in a band (or would like to be in one), why not make use of our band-mentoring scheme? Whatever your taste in music, our tutors will help you bring your musical ideas to life. You can get expert guidance and rehearsal and recording time in the studio. Komodo Recordings is a leading Recording studio in Northern Ireland, situated just outside Hillsborough, within easy reach of Belfast. No other Recording studio in Ulster caters for as many different types of recordings to our high standards. We offer studio & mobile recording, cover graphic design & printing, CD & cassette duplication, sound reinforcement, drum tuition and finance schemes designed for your particular needs. Lisburn School of Music was stated in March 2002 by principal Stephen McLoughlin. Situated in centre of the city, the school has an ethos of creating a relaxed and fun atmosphere for all levels of musicians to learn and interact. Stephen progressed from a music degree to a research degree Mphil, when he had an opportunity to explore his chosen field of Schenkerian Analysis. For several years Stephen has been a part time lecturer of Schenkenian Studies in the University of Ulster. Bringing you the best in quality products, great prices, advice based on decades in the music industry & good-old-fashioned customer service. Music Galleria caters for all musicians - pianists, orchestral strings, rock bands, flute bands, praise bands... You name it and Music Galleria has provided instruments, equipment & music to them. With a hand picked stock from choice & exclusive brands, Music Galleria is the only destination whether you're looking for your first instrument or the latest must-have product. Right next to Bow Street Mall, Music Galleria is drawing musicians from all over Ireland to Lisburn City Centre. We hope to see you instore soon! Welcome to Music Matters online shop. We keep it simple here. We sell the best musical instruments we can find in the world. We deliver them direct to your door. All of us are musicians, we love music and we try to pass on any tips or new things we know. We treat you like we would like to be treated. Buy music books online Music Matters shop is in Railway Street, Lisburn with 2 floors packed with the best musical instruments available. On the ground floor is electric guitars by Gibson, Epiphone, Fender, Lag, Aria, Jackson, Ibanez, Tanglewood, OLP and more. Acoustic guitars by Avalon (Legacy, Gold & Silver series), Faith, Tanglewood, Seagull, Aria, Amps by Marshall, Fender, Ashdown, Peavey, Orange, Drumkits by Pearl, Sonor, Premier, Roland and CB. Upstairs houses our classical department with all the classical instruments, including pianos by Steinway, Boston and Essex. Music Matters is N.Ireland’s agent for Steinway pianos. We also stock pianos by Yamaha, Weber, Roland, Casio. The Piano Doctor Mark McKeown BMus DipPT CPT began taking a keen interest in keyboard instruments since the age of 4 years old. Since then he has led a music-driven life, studying music all the way up to a Bachelor of Music degree. Having sang and played with orchestras, he is trained in piano, keyboard, celeste, clarinet and saxophone, as well as orchestral conducting. In 2005 Mark moved to Canada to pursue training as a piano technician at The University of Western Ontario. In addition to his training, he helped maintain the music department's practice pianos (approx 150 in all). During his time at UWO, Mark attended the Steinway factory, Steinway Hall and the Yamaha performers' studio that are all based in New York, and given seminars by some of the leading piano technicians on the continent. The company is entirely committed to working with traditional pipe organs covering all aspects of design, consultancy, manufacturing, restoration, tuning and servicing. Whilst we prefer the challenge of new mechanical action projects, the nature of our local market demands a readiness to adapt expertise to a wide range of work. We regard the slider soundboard as an essential prerequisite to good design discipline, tone production and mechanical reliability and have successfully employed either mechanical, electric or electropneumatic key actions as appropriate to each individual situation. The firm's tonal concept remains firmly grounded in classical principles of good chorus structure. After a period of experimentation with 'open foot voicing' and 'no nicking' in the 1970's, in common with many firms influenced by the organ reform movement, and with consideration of musical requirements of both the repertoire and liturgical accompaniment, our preference now is for a wide ranging and adaptable instrument unconstrained by slavish adherence to past practices. In the 36 years since its establishment the firm has undertaken some 200 contracts for the refurbishment of existing instruments, has designed and built 38 new organs (7 in Scotland and 1 in England) and currently tunes and maintains over 300 on an annual basis.